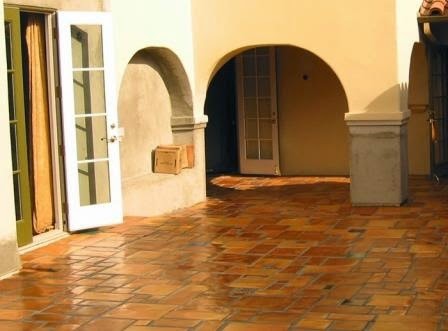 The design options for cement tile are extensive. Not only can pattern square tiles be customized, there are a lots of different shapes including hexagon, rectangles and Arabesque formats. Avente's Guide to Buying Handmade Cement Tile explains the different cement tile shapes, formats, and sizes you'll find. 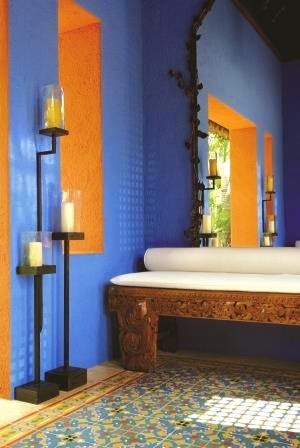 Exercise your creativity with handmade cement tile! Last month, we reviewed the time-tested quality manufacturing processes and techniques utilized in producing handmade cement tile. In this third installation, we'll take a look at the various sizes, shapes and formats available with cement tiles. As you can see in the chart below, handmade cement tiles not only offer beauty and dimension, they also offer flexibility in design with patterns, reliefs and moldings, and solid color cement tiles. Also, because cement tile is a handmade product, its further possible to exercise your creativity with Cement Tile Customization Services. Shapes, Sizes and Formats of Cement Tile: This chart includes patterned cement tile, relief and molding cement tile, and solid color cement tiles. To further extend the design capabilities available with cement tile, Rustic Cement Tile Pavers and Arabesque Cement Tiles are also available to transform both indoor and outdoor spaces. First, let's take a look at Rustic Cement Tile Pavers with their rich appearance of classic clay bisque tiles - similar to those that have been used in Spain, the Mediterranean, and northern Africa for centuries. With these pavers, you get the benefit of cement in its durability and strength, coupled with a broader color palette, as well as sizes and shapes that can be adapted to any décor and environment. 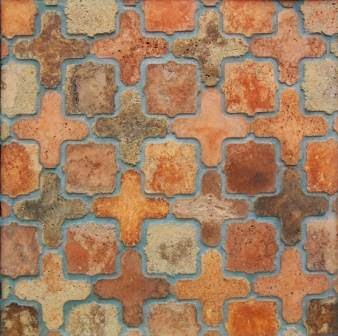 Rustic Cement Tile Pavers manufactured from cement rather than clay offer increased durability, while the extensive color palette adds to their versatility. Arabesque Cement Tiles pay homage to the deeply rooted and rich heritage of traditional Moorish and Spanish tiles. With their interlaced geometric patterns, each hand-crafted tile features nuanced curves and classic shapes enhancing any setting where they are used. Arabesque Cement Tile Pavers combine the strength of cement with the timeless shapes and formats of Moorish and Spanish design elements. Handmade cement tile offers a range of design possibilities. Whether you choose to use bold Cuban tile patterns in contrasting colors, classic cement patterns in harmonizing colors, or decide on the Rustic or Arabesque Cement Tile Pavers, the final result is guaranteed to transform any space from drab to fab! Further, for added inspiration, make sure to download Avente Tile's recently published Guide to Buying Handmade Cement Tile, a 14-page reference tool with easy-to-read information, vivid examples of cement tile installations, FAQs, and more! Of course, everyone at Avente Tile is well-versed and experienced in answering any possible question you may have. Therefore, please dont hesitate to call us at 888.739.4972; or email: info@AventeTile.com.